I’m so lucky that I’ve been able to talk with a lot of my mentors, and they answer a lot of my questions. I love interacting with them! We really are on a journey together, and I can’t wait to see what our future holds! I get a lot of excellent and exciting ideas that I want to share with you …. I’ve learned so much on my journey with Affiliate Marketing. I have learned excellent tips and tricks. I’ve also had a lot of mistakes that I had to learn the hard way. I’ve been reflecting on my journey, and I want to share with you some things I’ve learned over the years. Okay, when you start on a journey, it’s vital to see proof of accomplishing your goal. It’s natural to not commit to something until we see results. In this case, until you start making money before you will commit to Affiliate Marketing. I knew that I wanted to work from home and I needed a way to make money from home. I also knew that I wanted to travel. So my “job” required to be pretty flexible. I wanted to be an Affiliate Marketer, but I wasn’t committed until I got my first dollar. It worked, I knew that Affiliate Marketing did work and only then did I invest 100%. Two years later I am still here. It’s essential to commit to your plan and stick with it! You won’t ever succeed if you’re not trying! You will achieve great results when you are committed and you … Take action. Is the action you are taking right now working towards your goal? Sometimes I have to remember what my goal is, and I get distracted by well the internet! So much to do and explore — so many social media sites. Roaming the internet looking at pictures of baby animals isn’t work for me and won’t get me closer to my goal! One. You have to take action and put into plus the techniques you’ve learned. If you learn all sorts of beautiful concepts but don’t act on them, then what are they worth! Take action, try something you’ve learned and seen if it that idea works for your plan, then you can look at the results. Two, be sure that you take action on the things that will move you towards your goals. It’s important to think, “What step can I take to get closer to my goal?” Then do something every day to work toward accomplishing it! It’s important to see the big picture! What are your main goals for your online business? Do you want to do it part-time? Or is this a full-time job? Do you want vacation money? Or will this be your total household income? Figuring out your primary goal is essential. Then create a map. Where are you at point A, B, and C. How will you measure your success at the finish line? This journey has been incredible for me! 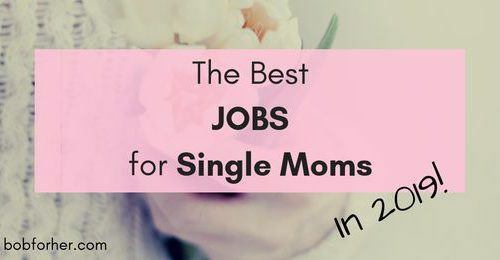 I have flexible hours and can stay at home with my kids. I love having the freedom and flexibility to work on my own time. I spend a lot of time and effort on my business, and I do it when it works best for my family and me. That’s what I want to help others with as well. 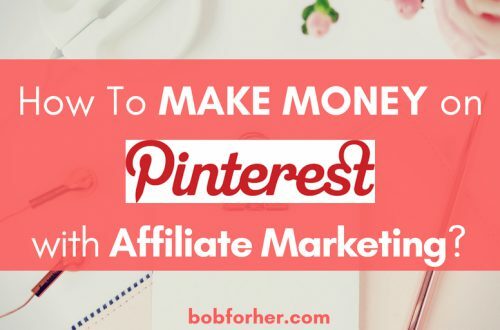 To give tips, tools, and information about affiliate marketing, so that people like you can create a future where you are in charge of your own time. You know what you want, what’s important to you, maybe it’s traveling, perhaps it’s more money, maybe it’s… What it all boils down to though is being in charge of your own time, having the freedom to do what’s most important to you. When you have your main goal set, you need to break it down and figure out what to do to achieve that. If you have a financial goal, break it down and calculate how much you need to make on a daily basis. Say you want to make $4k monthly, that’s $104 daily. Your monthly goal is to earn $ 4,000. That’s about $104 each day. If you sell a product that makes you $15 a sale, then you need to make around 7 sales a day. How do you make those sales? If you have 300 visitors and one of those visitors buys your products, then you need about 2100 visitors to your site every day to make your sales goal. The primary step would be to figure out how to get the traffic to your site. Then you’re on your way to achieving your goals. We learn from mistakes! Don’t be afraid to make mistakes. The important thing when making mistakes ( that best online Affiliate Marketing experts taught me) is that you set down and see what went wrong, and decide what to do about it! I’ve made so many mistakes, and there’s no way even to count them! Projects and idea that were failures! Yes, errors take up your time. You won’t move forward if you don’t make mistakes. Each lesson was valuable in my business growth, and I learned to turn my mistakes into steps along my business goal and still be on track! I already went to the top of search results when someone searched, “Make Money Online” because that was my domain name. Just a few posts and pages and my sight was high ranking! A lot of people were doing just like I did! They are creating a ton of keyword targeted sites. In reality, it wasn’t helpful to users. Junk sites were ranking well! Google evolved, and small unhelpful sites don’t rank high anymore. The technology has changed to rank sites that will be helpful to the user. I was a domain holder. Owned a couple of domains, but not a lot of focus. I was taking on too many projects. I was OK on a few of the sites, but I couldn’t be at my best because I was spread too thin! I lost focus of my primary goal. That was a lot of wasted time! Now, I have two sites, I know how to focus on those sites, use meaningful content, and well that two help my visitors so much better, and make revenue for me better than when I had too many sites. That was a powerful lesson to learn! My other website, I outsource my content. But this site bobforher.com is where I share my views, plans, and passions about content marketing — sharing with you what worked for me and what hasn’t worked for me. Some things will work, others don’t, and you will make mistakes. It’s how you deal with errors that will determine whether you can make it to your GOAL. Everyone has low moments. Looking back, I’ve had some low, weak moments this year. Right now though the future is looking bright, I’m making WordPress sites, I am blogging about what I love, and I’m monetizing. If your goal is huge – push yourself to that goal. Keep working and don’t give up! Everyone struggles, when you look at websites, you see the results, and they are fantastic! You don’t see the hard work to get that site to the point that you online! Surround yourself with people who can help you through the low points…. Working from home can be lonely. 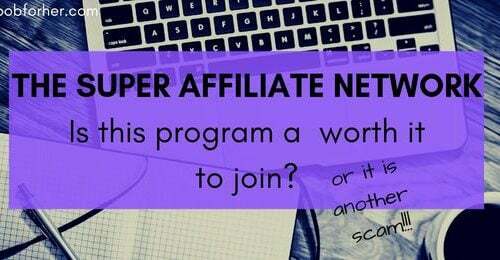 Find other positive affiliate marketers that are helpful! Find your place in an online community. Ask questions, share issues, and accomplishments! This type of community is priceless when it comes to staying positive and reaching your goals. It takes time. Building a website takes time. Building your online business takes time. It took a lot of patience, for content to being ranked! It takes a while to see the money. I am happy I stuck with it and am excited to see what the future holds for this site! The remarkable thing about affiliate marketing is you can focus on something you love! No matter what your interest: fashion, reading, sports… the possibilities are endless! You can work with websites (niches) you may just want as a hobby, and then they turn into income! There is a site about any subject possible, and online businesses about them too! Get traffic to your site. Are you ready to get started with your first site? Start here. 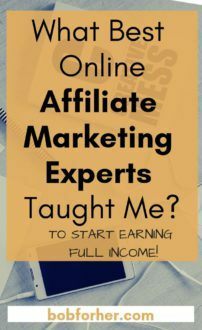 Already have a site but you want to start with affiliate marketing? So you have. 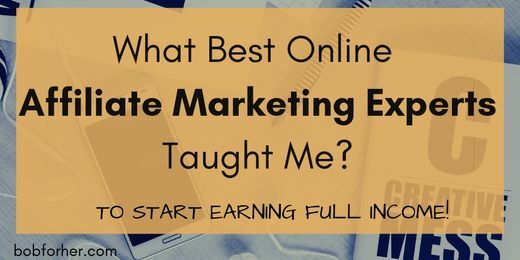 Things that the best online Affiliate Marketing experts taught me. I`m sharing this knowledge so that you can become an affiliate marketing expert too! And, of course, you can learn some things from the best affiliate marketing experts yourself. CLICK HERE to join affiliate marketing network and get access to those people 24/7.